With the release of the affordable, yet considerably more powerful (compared to most mobile GPUs from the previous generation) GTX 1050 and 1050 Ti a number of OEMs released their versions of “entry-level” gaming laptops. 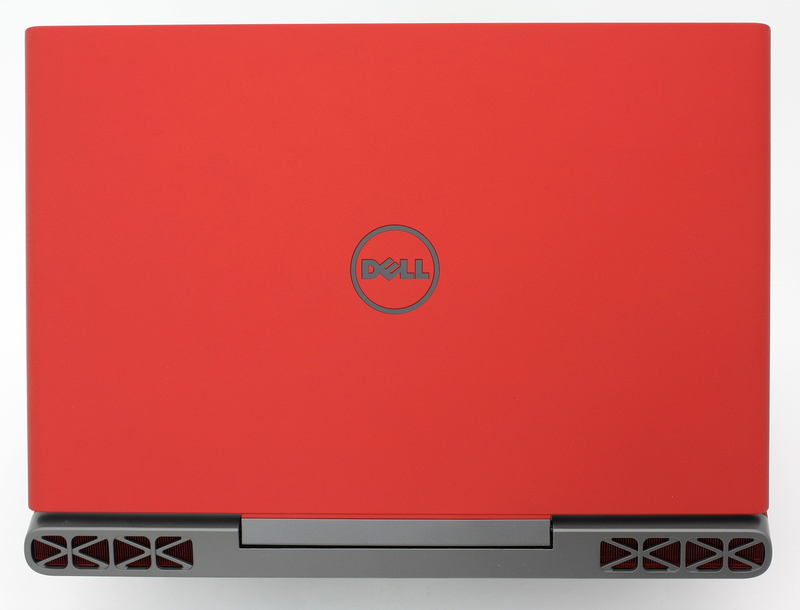 Dell was one of the first to jump on that train with its Inspiron 7567 – a good-looking laptop with plenty of horsepower under the hood, stable cooling design and easy to maintain. What lacks, however, is an important feature – an IPS panel, which used to be a norm for more affordable configurations but now only the Lenovo Legion Y520, and in some regions the Aspire VX 15, are able to offer a decent IPS panel for a comparable price. Interestingly, enough though, the Inspiron 7567 scored better than most laptops we’ve tested so far in terms of battery life, which is unusual for a gaming-oriented machine. 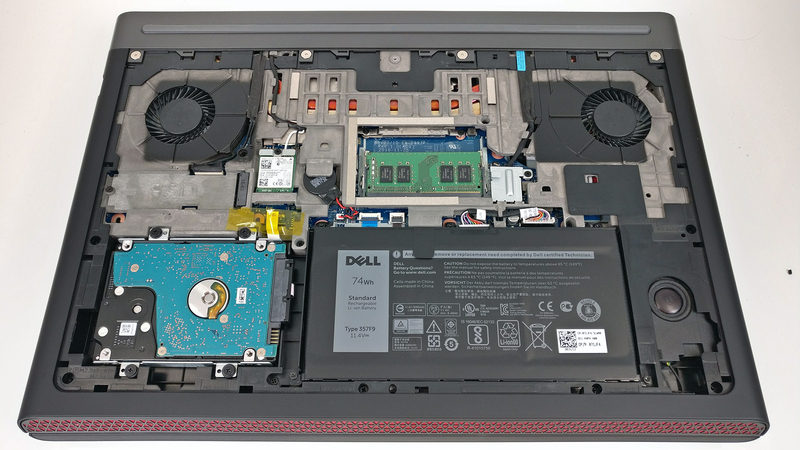 What’s typical of the Dell’s Inspiron 7567, however, is the Core i5-7300HQ CPU that can be upgraded to Core i7-7700HQ, a GTX 1050 or 1050 Ti, a big battery and a lackluster TN panel. Of course, the package includes an M.2 PCIe NVMe SSD slot as well but if you want it included in the configuration, prepare to spend a few extra bucks. The question is how does it stack up against the tough competition of the Acer Aspire VX 15 or the Lenovo Legion Y520? Does Dell’s slightly pricier gaming solution offer something more than its competitors? You can find out in the comprehensive review below. The box containing the laptop isn’t anything out of the ordinary – it contains the usual user manuals, charging adapter and power cord. 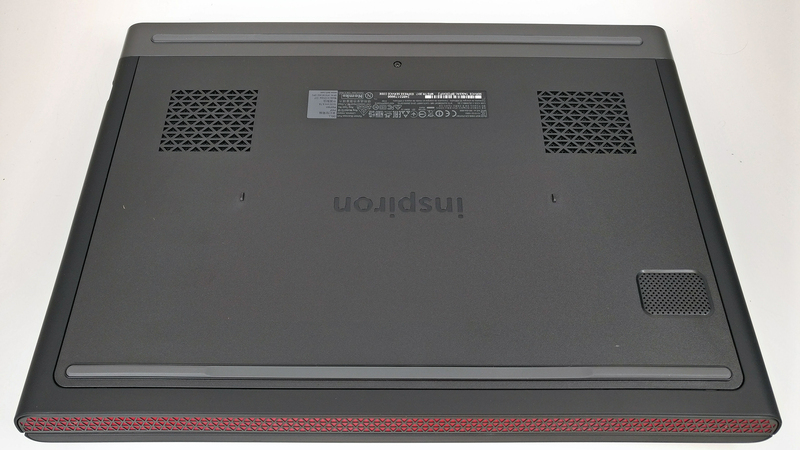 Interestingly, the design concept is more in line with Alienware’s new generation of laptops than last year’s Inspiron 7559 characterized by huge vent openings at the back, decorative grills on the front and an almost identical chassis construction to the Alienware 17 R4. We found this out only after a full disassembly, though. Generally, the notebook offers fairly robust construction with the exception of the lid which when subjected to some pressure in the middle produces a noticeable flex and causes ripples to appear on the LCD screen. The centered screen hinge design isn’t the first one we’ve seen but it’s probably the worst one we’ve tested so far. It’s too narrow and doesn’t give enough stability to the whole screen area making it too flexible. Moreover, the thick bezels and sharp corners of the screen make the whole notebook feel and look somehow outdated. That’s, of course, more of a subjective opinion but you can’t deny that it’s very reminiscent the old-school ThinkPads. We do have to note, however, that the screen hinge is perfectly tightened – it allows the notebook to be opened with just one hand and the movement of the lid feels stealthy and buttery-smooth and the matte surface finish feels excellent – it’s really pleasant to touch and provides good grip for carrying around but, of course, fingerprints and smudges stick easily. The bottom piece of the base is made of hard plastic piece with big vent openings for extra airflow. The good news is that the service lid is quite big and gives easy access to all of the changeable hardware. Moving on to the sides, they are made of that soft-touch plastic finish used for the lid. They are slightly curved towards the bottom and measure at 27 mm. This makes the laptop slightly thicker than the Legion Y520 but considerably leaner than the Aspire VX 15. As far as connectors are concerned, the laptop offers the usual I/Os but they don’t seem to be well-distributed. Almost all of them are on the right side, which in some cases may obstruct normal usage with an external mouse. You will find the RJ-45, two USB 3.0, an HDMI port, and the 3.5 mm audio jack on the right while the left side holds only the SD card reader, an additional USB 3.0 connector and the DC charging port. Unfortunately, the USB-C 3.1 (Gen 1) port is nowhere to be found while both competitors, the Legion Y520 and the Aspire VX 15, offer it. This may not seem like a big deal for most since the USB-C connector isn’t widely used yet. On the other hand, it can still be used with a simple USB-C hub. 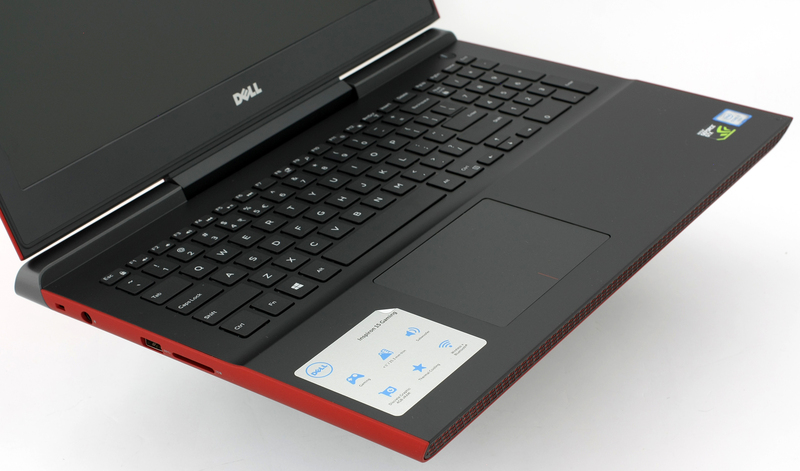 Finally, the back side is probably the iconic element distinguishing the Inspiron 7567 from its competition. It has gray plastic grills with red radiators peeking through the big rectangular-themed holes. The front follows a similar design concept but doesn’t serve any purpose – the grills are just decorative. 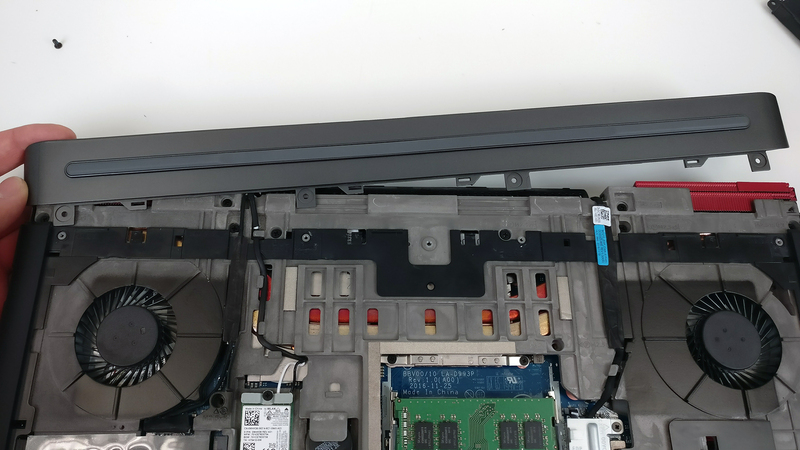 There is a small triangle right in the middle, however, which is actually an LED that indicates whether or not the laptop is powered on – a cool finishing touch in our opinion. The interior goes for a simpler matte plastic finish, which contrary to the exterior, isn’t soft and a magnet for fingerprints and smudges. 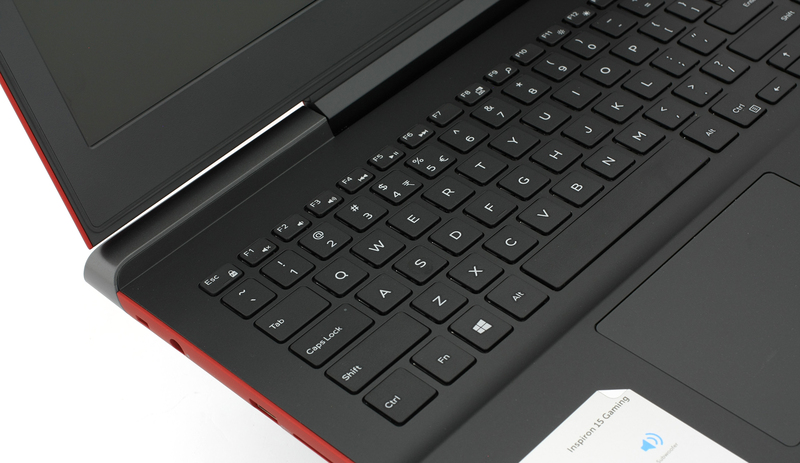 Moreover, the material feels rigid even when high pressure is applied in the center of the keyboard. In addition, it has to be noted that it’s pretty good for typing because of the relatively short key travel and clicky feedback. The red LED backlight isn’t “in your face” and the key spacing is decent. However, these properties aren’t exactly the best for gaming and when you also consider how small the arrow keys are, which are essential for gamers, we are left with some mixed feelings about it. Our score on the keyboard is average at this point. The touchpad, on the other hand, is light, clicky and the gliding surface appears to be okay. The trackpad area is responsive and accurate. 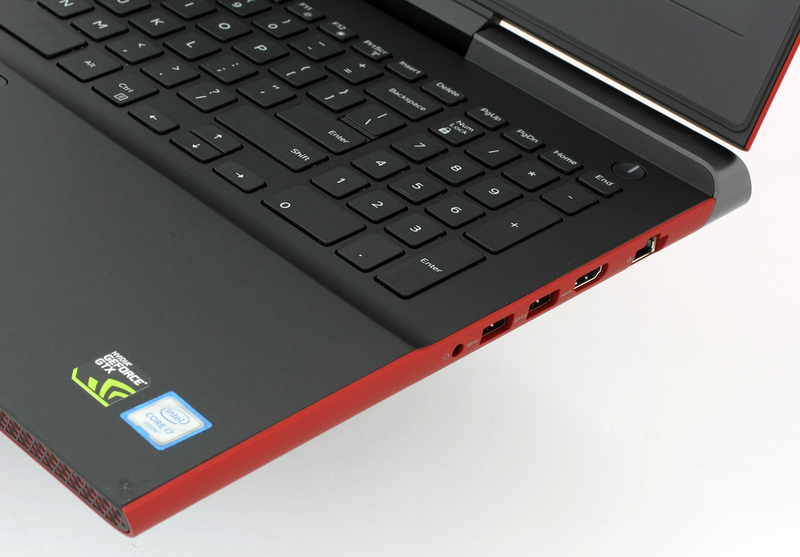 To be honest, we’ve rarely seen such a good touchpad in an entry-level gaming laptop. The overall design of the machine is a hit and miss at the same time. The lid feels extra flimsy while the thick and sharp bezels suggest an outdated design. Moreover, the port placement isn’t exactly what we call “healthy”. In addition, the keyboard lacks the much-needed long key travel for gaming as well as big arrow keys. But for the most part, we are happy with the construction. The chassis looks pretty neat with tasteful front and back grills, a stealthy hinge, super easy access to the internals, a good touchpad and a fairly robust base. Accessing the storage, RAM, Wi-Fi card and the battery is super easy but ready yourself with patience if you want to go all the way to the naked motherboard and cooling system. The commonly upgradeable hardware requires you to remove only one screw and the bottom plate will pop right out. 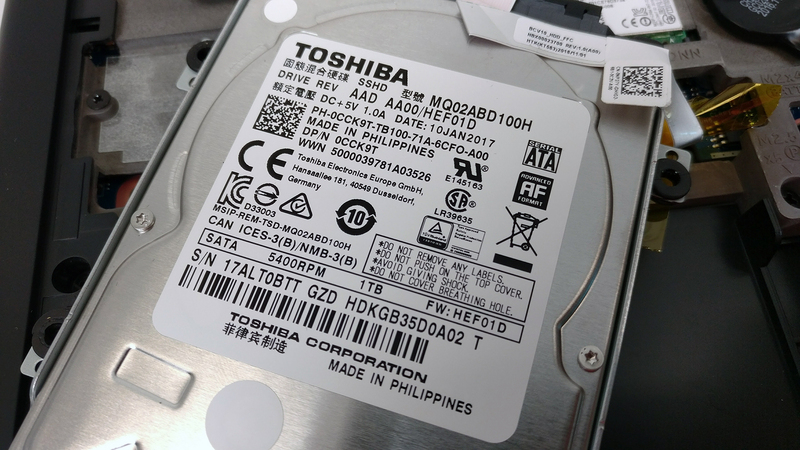 As usual, the laptop came with a standard 2.5-inch HDD with 1TB capacity manufactured by Toshiba and spinning at 5400 rpm. 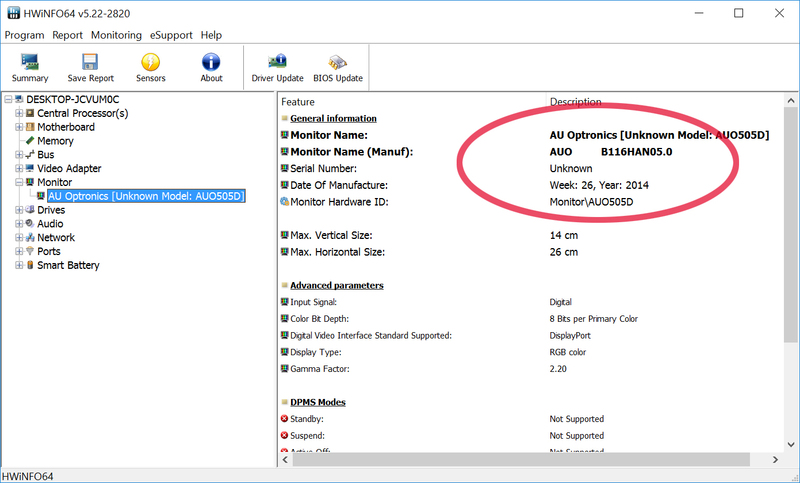 The M.2 PCIe NVMe SSD slot was empty – it supports the most commonly found 2280 sticks. 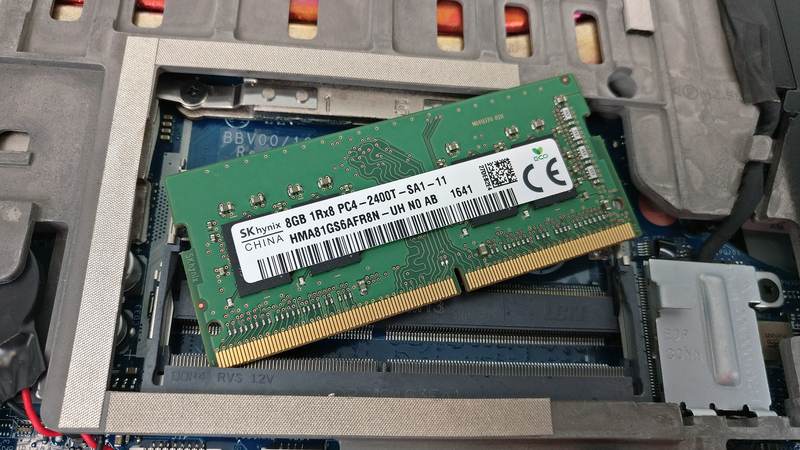 As expected, we found two RAM chip slots on the motherboard and one of them was taken by an SK Hynix 8GB DDR4-2400 chip. 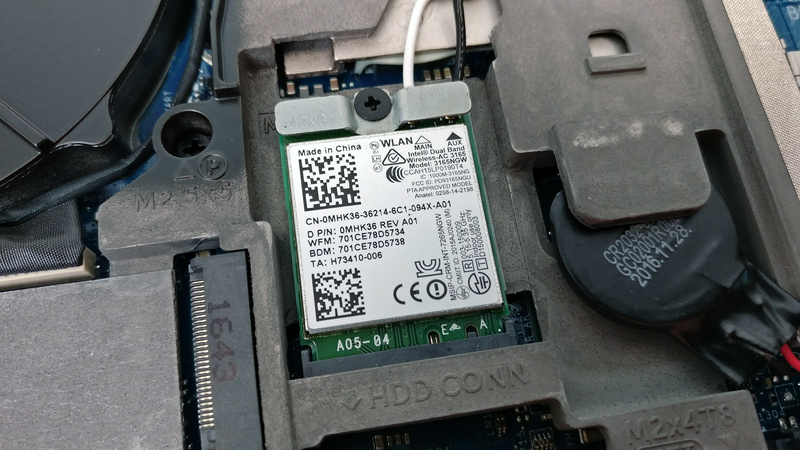 The Wi-Fi card is placed next to the left cooling fan with the bottom facing up. It’s manufactured by Intel and the model is 3165NGW. The battery unit is surprisingly big with promising capacity – 74Wh. The cooling system appears to be pretty solid and consists of two separate cooling fans connected by two big heat pipes. 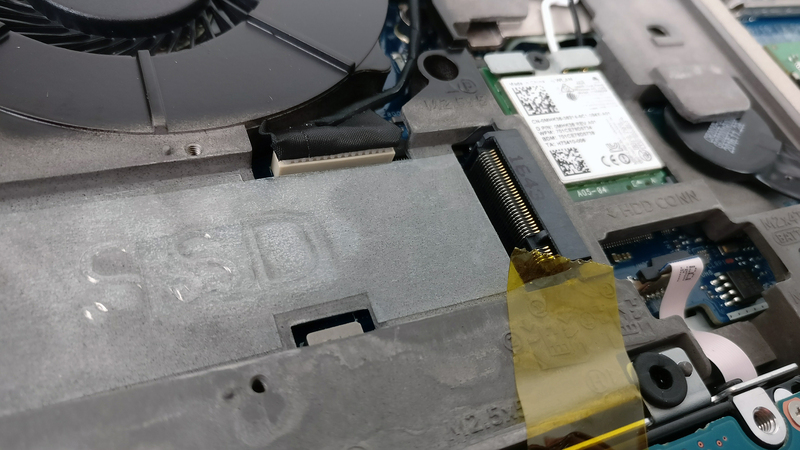 But in order to get to the cooling system, you need to remove all the screws around the base, including the ones for the touchpad plate, storage devices, Wi-Fi card, battery and all the cables attached to the motherboard. You will also have to remove the back plastic element covering the rear radiators. The notebook uses a familiar Full HD TN panel with model number N156HGE-EAB (CMN15C4) manufactured by Innolux (CHI MEI). 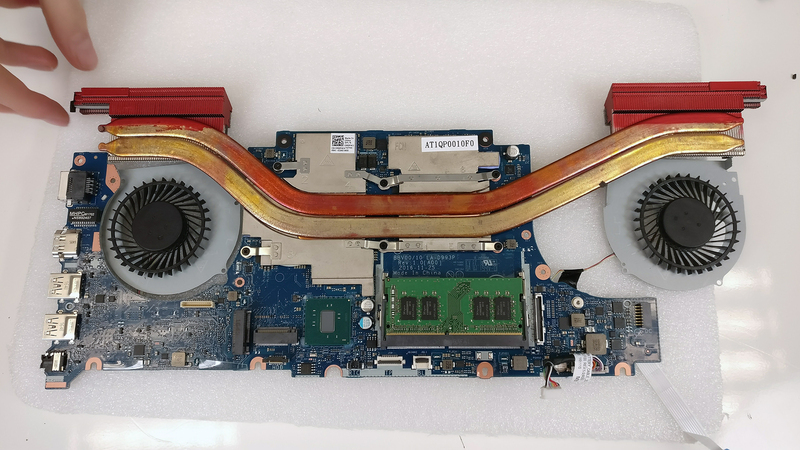 The display is also found in the previous generation of the Inspiron 7566 with GTX 960M as well as in the entry-level Acer Aspire E 15 (E5-575G) laptop. It offers 1920 x 1080 pixels resolution, 0.18 x 0.18 mm pixel pitch, 142 ppi and can be considered as “Retina” when viewed from a distance equal or greater than 60 cm. Viewing angles aren’t good due to the nature of TN panels. If you are running the pre-installed Dell apps on the machine, you will also find several presets via the True Color app. We were able to record a maximum brightness of 242 cd/m2 in the center of the screen and 231 cd/m2 as average across the surface with 12% maximum deviation in the lower right corner. The color temperature is close to the optimal – 6350K but the contrast ratio is exceptionally low – 320:1. 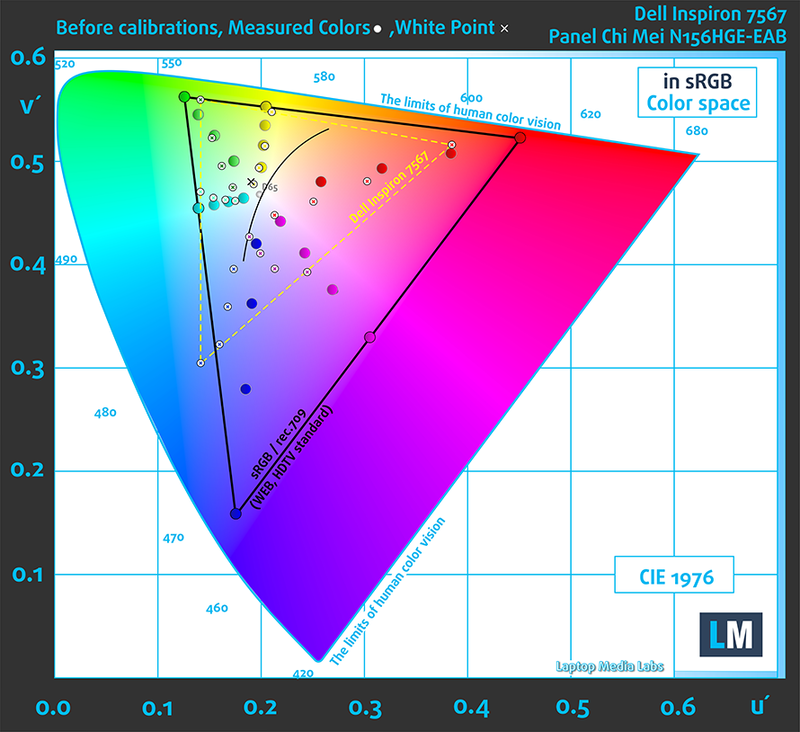 The maximum dE2000 (color deviation) compared to the center of the screen is 2.9, which isn’t necessarily bad because values above 4.0 are usually unwanted. As expected, the sRGB coverage is narrow – just 50%. This means that half of the web-based and HDTV colors are missing. Below you will see practically the same image but with the color circles representing the reference colors and the white circles being the result. You can see main and additional colors with 25%, 50%, 75% and 100% saturation inside the sRGB gamut pre and post calibration. The graph on the left is with stock profiling and the right uses the “Office and Design Work” profile. 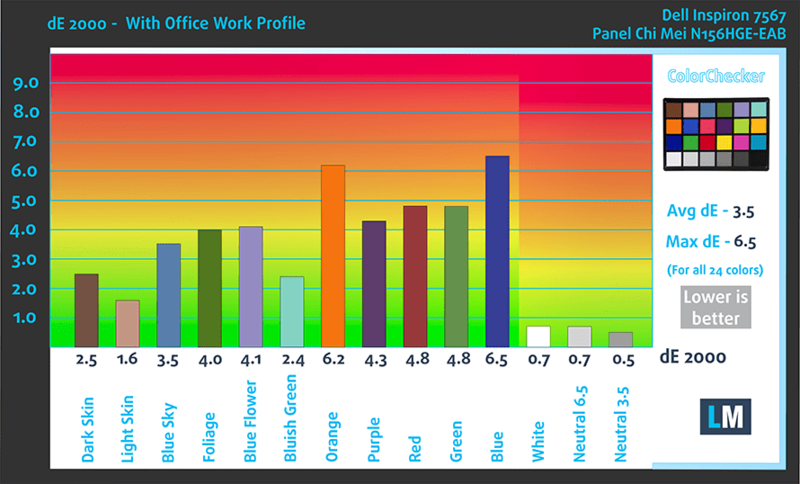 We’ve created the Office and Web Design profile at 140 cd/m2 luminance, D65(6500K) white point and 2.2 gamma. 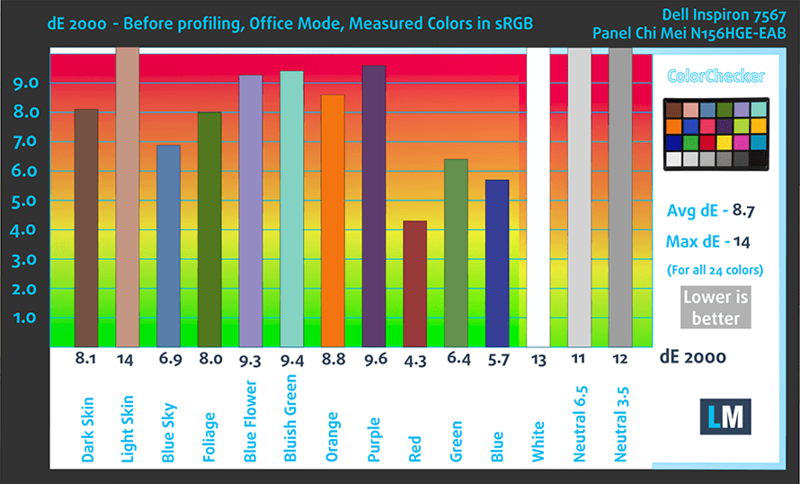 You can compare our Office and Web Design profile with the True Color Office Mode preset. The next figure shows how well the display is able to reproduce really dark parts of an image, which is essential when watching movies or playing games in low ambient light. 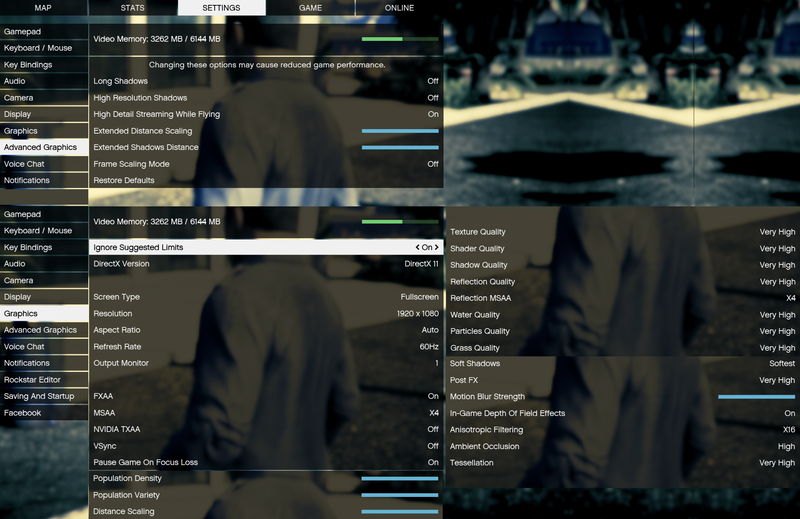 We’ve also provided you with a comparison between our Gaming and Movie Nights profile and the True Color Movie mode. We were able to detect PWM only below 55 cd/m2 (with Vivid Mode turned on, although the rest of the modes produce practically the same results) and even then, the frequency of the emitted light is pretty high and may not cause any issues with your eyesight. It should be comfortable to use during long periods of time. If you are looking for good multimedia experience, the Dell Inspiron 7567 won’t be able to deliver. Its TN display is lackluster and you will find it included in configurations with GTX 1050 and 1050 Ti. Despite the fact that the price is somewhere in the ballpark of the Acer Aspire VX 15 and the Lenovo Legion Y520, the notebook doesn’t offer the much-needed IPS panel, while the direct competitors do. The sRGB color gamut coverage is narrow, the contrast ratio is low, the maximum brightness is unsatisfactory while viewing angles are poor. We do have to note, however, that the display doesn’t use PWM for regulating brightness above 55 cd/m2 making it suitable for long hours of gaming and work without causing unnecessary eyestrain. The sound quality is good with enough clarity in the mid and high frequencies but there are slight distortions in the low ones. The unit we received didn’t have Windows 10 (64-bit) installed so we used a fresh copy of the OS for our testings. If you want to do the same, we suggest downloading all the needed drivers from Dell’s official website. To be honest, we weren’t expecting much from this laptop but we were blown away by the exceptional results. 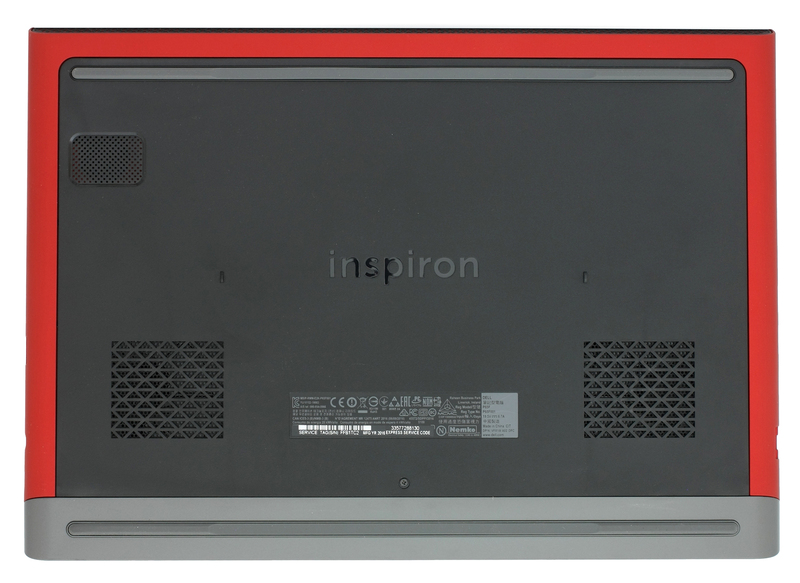 The 74Wh unit is able to support the power-hungry 45W TDP quad-core Core i7-7700HQ and the Full HD TN panel for quite some on its own. Probably the TN panel helps in this regard as displays with these kind of panels are usually more energy-efficient than IPS variants. In any case, the laptop makes it almost to the top of our list in terms of battery life even surpassing ultrabooks with ULV (ultra-low voltage) processors. We really weren’t expecting such exceptional results. 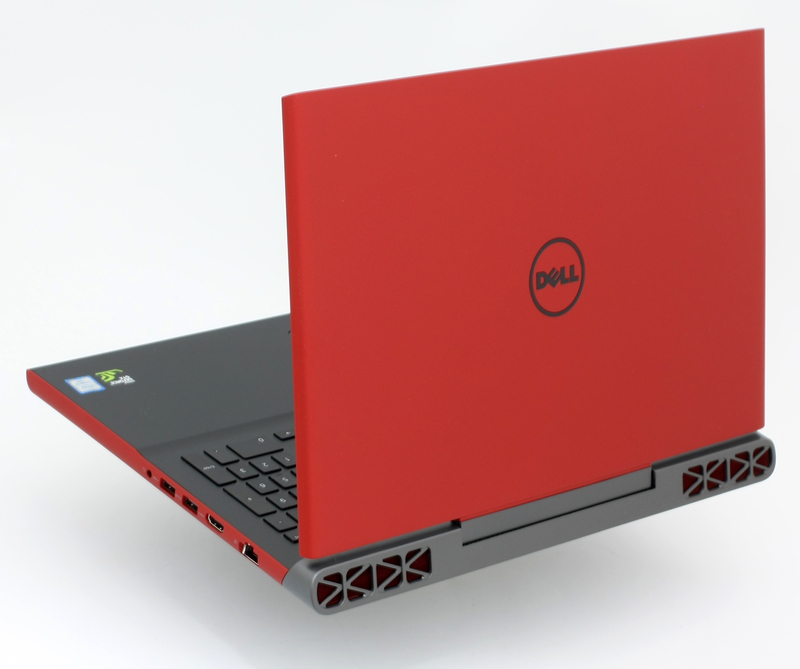 And we can say with confidence that the Inspiron 7567 is by far the most enduring gaming laptop we’ve tested. As usual, all tests were performed using the same settings as always – Wi-Fi constantly running, screen brightness set to 120 cd/m2 and Windows battery saving feature turned on. Exceptional web browsing runtime – 768 minutes (12 hours and 48 minutes). Lower but still surprisingly high score – 613 minutes (10 hours and 13 minutes). It’s quite unlikely that you will start a gaming session without being close to a power source, but it’s good to know that you can play a little over three hours away from the plug – 215 minutes (3 hours and 35 minutes). Here you can see an approximate comparison between the CPUs that can be found in the Dell Inspiron 15 7567 models on the market. This way you can decide for yourself which Dell Inspiron 15 7567 model is the best bang for your buck. Fritz is a chess benchmark that tests the computing capabilities of the CPU with various chess moves. 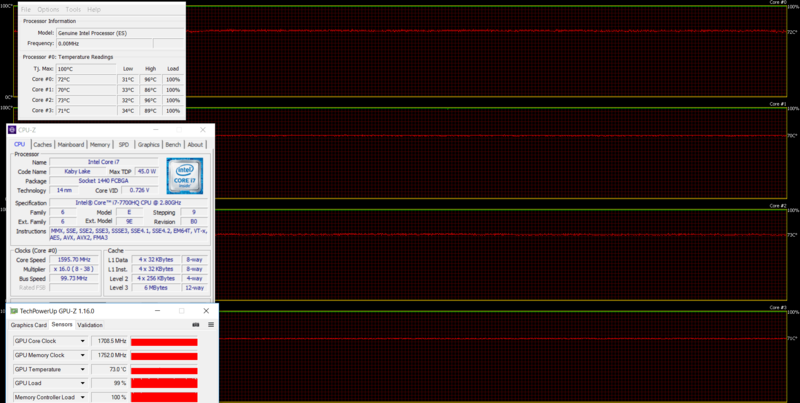 The Intel Core i7-7700HQ managed to get 13.335 million moves per second. For comparison, one of the most powerful PCs, Deep(er) Blue, was able to squeeze out 200 million moves per second. In 1997 Deep(er) Blue even beat the famous Garry Kasparov with 3.5 to 2.5. Anyway, the GTX 1050 Ti also offers significantly higher clock rates than the normal GTX 1050 versions well 1493 – 1620 MHz vs 1364 – 1493 MHz. This contributes to a significant performance boost over the standard version but the rest of the specs remain the same. The GPU offers 4GB of GDDR5 memory connected via 128-bit interface and transfer rates as high as 112 GB/s. Here you can see an approximate comparison between the GPUs that can be found in the Dell Inspiron 15 7567 models on the market. This way you can decide for yourself which Dell Inspiron 15 7567 model is the best bang for your buck. As usual, we perform a long CPU and GPU-intensive stress test to check the overall system stability and to assess the capabilities and effectiveness of the cooling design. 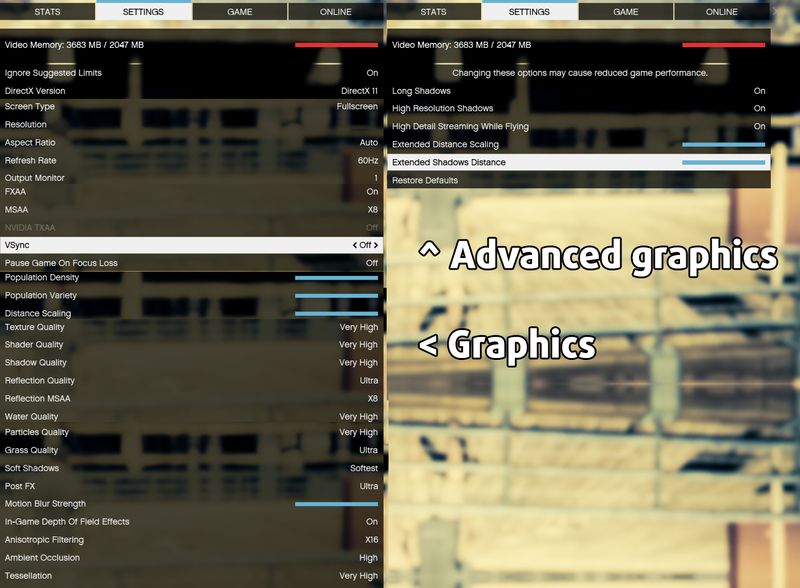 However, the 100% CPU and GPU load isn’t normal for regular usage and gaming so it shouldn’t be taken as an example. We ran the CPU stress test for an hour – with pretty promising results. The CPU’s temperatures were relatively low while the chip was able to maintain its maximum operating frequency for four active cores – 3.4 GHz. But shortly after we ran the GPU stress test, the CPU’s temperatures rose for a while and caused the processor to throttle. 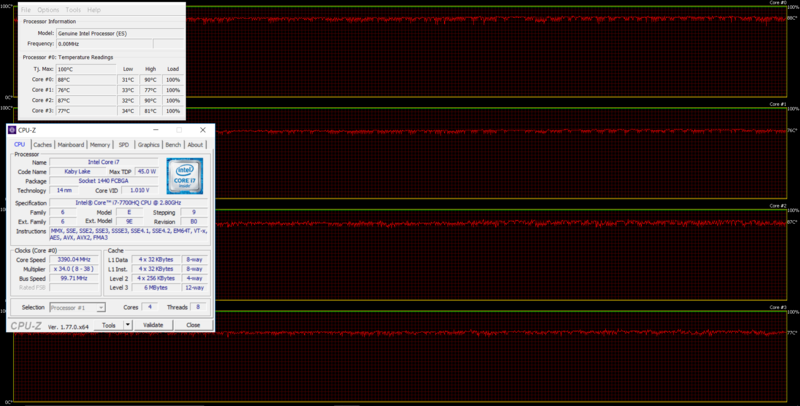 The CPU’s frequency dropped to around 1.6-1.7 GHz along with temperatures. Perhaps even a BIOS setting was triggered. As you can see from the graph below, the CPU’s temps were stable at around 70-74 °C which is exceptionally low for such a workload, and we are mostly certain that the cooling system can take more beating than this. It can afford much higher clock speeds resulting in higher temperatures of 10 or even 15 °C and the machine will still be fine. This way no performance will be sacrificed. In any case, the GPU’s maximum clock speed of 1708 MHz and stable 73 °C are yet another reason to believe that the cooling system is capable of supporting higher clock speeds without any problem. Probably a BIOS update can fix this but keep in mind, however, that during normal usage or gaming, the thermal throttling of the CPU won’t occur for sure. Finally, we also measured the temperatures on the surface, which appeared to be pretty normal given the nature and duration of the stress test. You will feel the center of the keyboard slightly warm during gaming but that won’t cause any discomfort for sure. 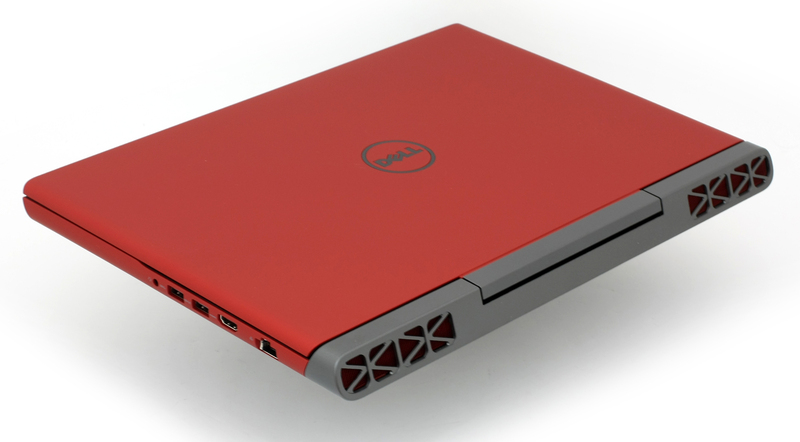 The Inspiron 7567 is a mixed bag for Dell. 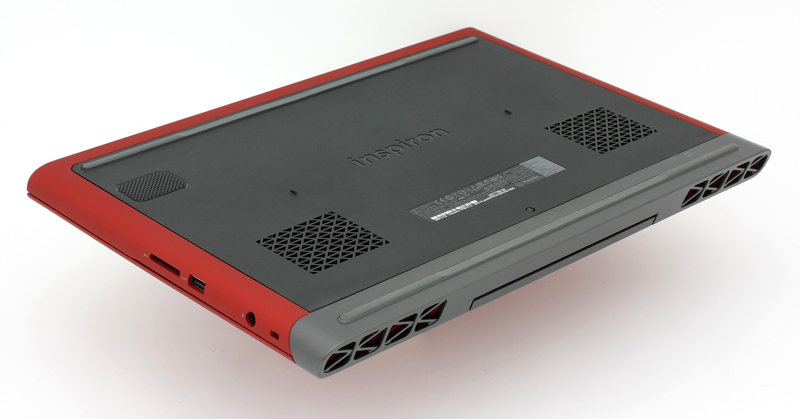 It’s super affordable in most regions of the world and offers powerful hardware for the asking price but unfortunately for the OEM, there are other similarly priced rivals on the market delivering features that the Inspiron 7567 doesn’t. The main drawback of the machine is the lackluster TN panel which will be a deal-breaker for a lot of users. If you are able to spend a little bit more, we suggest that you consider the ASUS ROG Strix GL553VE or the more reasonably priced Lenovo Legion Y520. The GTX 1050 Ti configuration of the Aspire VX 15 from Acer is also a good option. 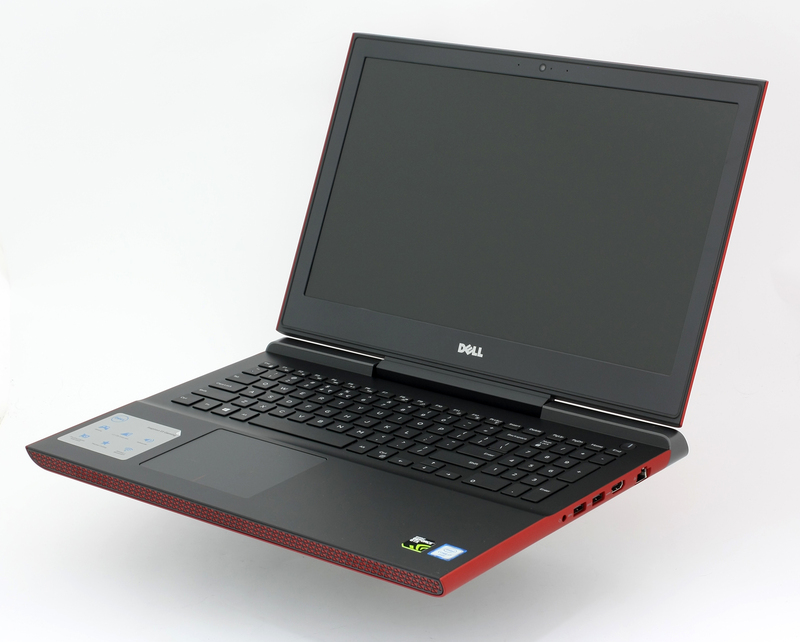 However, the Inspiron 7567 excels in areas where others seem to be dragging behind. Let’s take the cooling system as an example. Despite the annoying cap of the CPU frequency during heavy workload, the cooling system is efficient, stable and can take a beating. 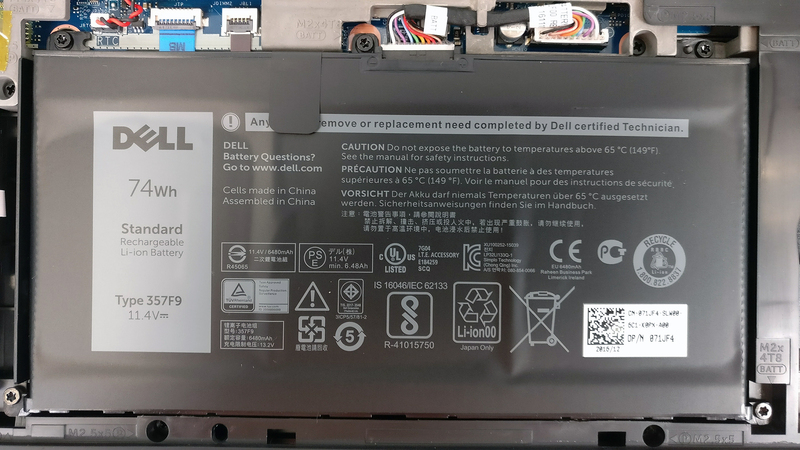 Another notable difference between Dell’s solution and the competition is the excellent overall build quality with the small exception of the flimsy lid and the narrow screen hinge. We also didn’t like the keyboard, which isn’t exactly gaming-oriented, even though, it’s comfortable for typing. The touchpad, on the other hand, is spotless. Finally, the absence of a USB-C 3.1 (Gen 1) connector, which has become a standard for mid-range to high-end laptops, might be problematic for some users. What we didn’t expect from the Inspiron 7567 and shines above the competition is, however, the extraordinary battery life. Even with this demanding hardware, the 74Wh unit will get you through the day without a single charge. 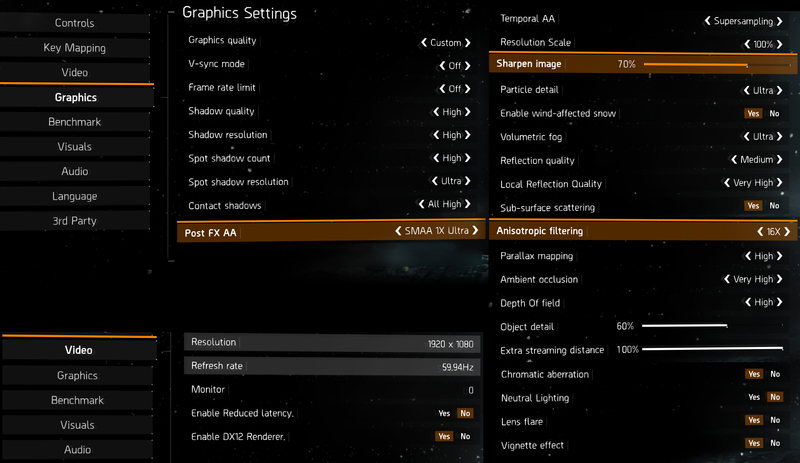 And this isn’t a norm for gaming laptops, be sure of it! At the end of the day, the Inspiron 7567 is both a hit and a miss for Dell and it really depends on what are you planning to use it for. Consider the other three competitors in this price range (the Acer Aspire VX 15, the Lenovo Legion Y520 and the ASUS ROG Strix GL553VE), then decided whether or not the laptop will be used with an external monitor for gaming or watching movies and then make an informed decision. As someone who frequently games, I have to say that the arrow keys aren’t frequently used. They’re used *occasionally* for menu navigation, but even that is usually relegated to the WASD keys or simple mouse navigation. Because of this I have a hard time agreeing that they “are essential for gamers”. Otherwise your review is incredibly in-depth and helpful. If one was to choose between this and acer vx 15 then which one would be a good choice? I chose the 7567. You can now order them with IPS panels, which is a massive upgrade from the TN panels. All it took for me was seeing inside both laptops. The 7567 has a much “beefier” looking cooling setup, makes the VX15’s look very lacking. Other than that, they’re pretty much even on paper. Plus I’m not at all a fan of the looks of the VX15, but that’s purely subjective. I have question about temperature. How hot it should be on idle ? My dell is around 50 c on pcu. However on load the temps at pcu at maximum 80 c.
Is it good or should I return it for warranty? 50 seems a bit too high for idle. Our unit was running at around 30 or a little over 30 when idle. Temp at idle depends on whether or not you were doing anything prior. If I’ve been using the laptop prior to checking temps I’ll see between 40-50 at idle, but really temps under load are what matter. 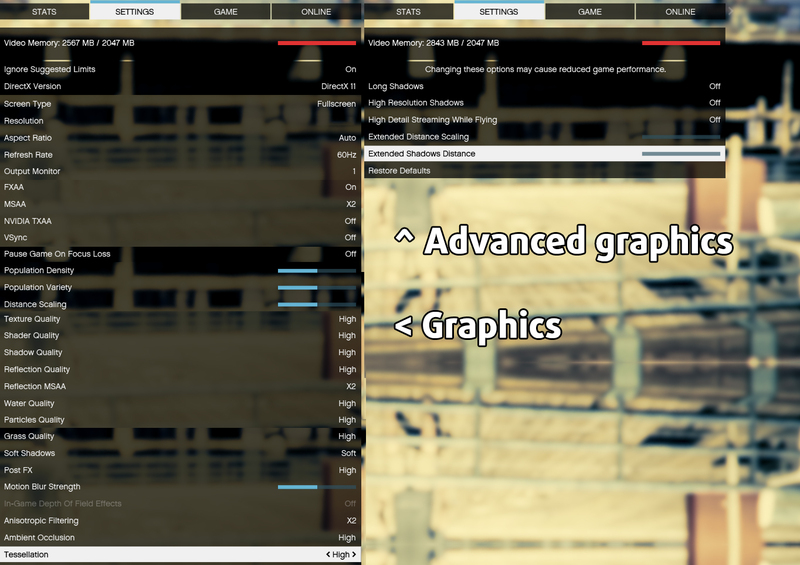 Even under extended loads of cpu stress tests or playing GTA5 with very high settings I’ve never seen the cpu go past 75c and GPU’s never gone above 67c. Use hwmonitor to monitor your temps. Also, download intel xtu and undervolt your CPU, there are tutorials on youtube how to do it. Very simple and it’ll drop your temps a bit. will a seagate firecuda 2.5-inch 1tb sshd work on this laptop?and do i need to get brackets to install the sshd? I got this model with IPS display, I’m looking for color calibration from your website but haven’t found for the ips here. Is there any model with the same display so I can purchase it instead? Hey, Hamilcar! What’s your display panel model? I don’t know, its the factory IPS, how do I discover the model?